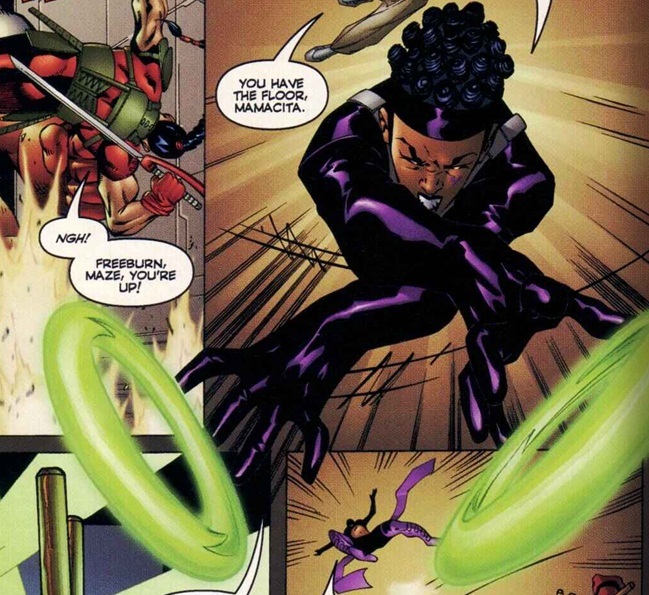 Powers: She has the psionic ability to alter the visual perceptions of others by created illusions. Maze is a highly trained military operative of the Phantom Guard. She has had a relationship with teammate Napalm though for reasons unknown it did not work out. She clashed with Jamaican Superhero Serge while on a mission. ← Earth 2’s Black Hawkgirl!